Join us for a Live Cooking Demo on the SubZero / Wolf Products at Capital this Saturday! Why attend Cooking Demos at Capital? Why choosing a Cooking Demo may help you find the Brand for you? With so many appliance brands and features to choose from, finding the right product can be overwhelming! We offer Complimentary Cooking Demos throughout the week on many brands displayed at Capital. Experiencing the products first hand and tasting the difference of cooking with Steam vs Convection can be a game changer in cooking for many families! Visit one of our upcoming Cooking Demos and compare brands and product features! Find our Spring Cooking Demo schedule here on our blog or frequently posted on our Facebook page @capitaldistributing. 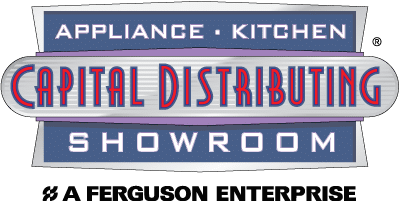 Whether you are looking to replace just one appliance or remodeling an entire Kitchen, our team at Capital would love the opportunity to show you the different brands we carry and help you find the perfect fit! Click on the link below to see Bob Vilas GREAT tips on Laundry! Check out what Steam + Convection Cooking is all about! Why is Steam Cooking such a hot topic? Check out this great video link below by WOLF that explains the power of Steam + Convection Cooking! If you are interested in coming in for a Steam cooking demo, call us to schedule! We would love to show you why Steam Cooking is such a hot topic!